In the lower city of what was called Hattusha the predecessors to the Hittites, the Hattians, had settled as early as the end of the third millennium BC. At the beginning of the second millennium BC there had been a colony of Assyrian merchants here as well. Hittite residential quarters have been excavated here, surrounding a temple dating from the thirteenth century BC. A wide paved way led passed storage rooms and a water basin, which had a role in the cult. At the heart of the complex, isolated from it all, lay the actual temple. 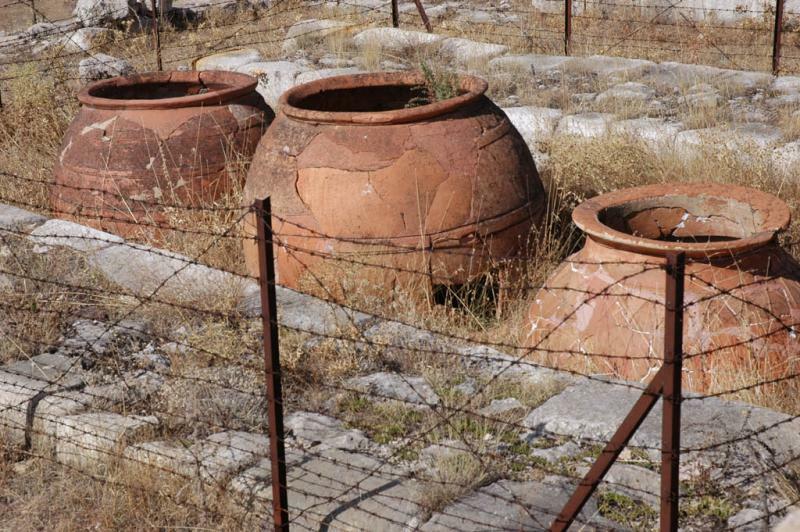 These are storage jars at the fringe of the temple complex.